Dubai is the fastest growing and most dynamic city in MENA today- it's rife with opportunities for startups to build successful businesses, but it's an expensive place to live and an even more expensive place to execute your enterprise model. Unlike Silicon Valley, startups here don't have the option of working out of a garage or a dorm room. Like other businesses in Dubai, startups need to rent office space before being able to open a bank account, get a business license and in turn get a work visa to operate legally in the country. 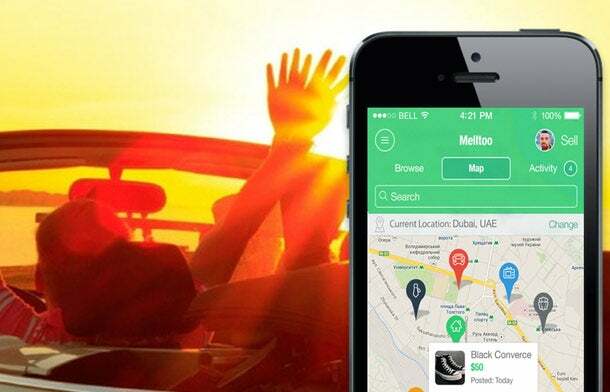 As the co-founders of Melltoo, a social network for buyers and sellers in the UAE, we've been there and done that and we've survived to share our tips on how to start up in Dubai for cheap. Unless your startup physically sells goods in the UAE, incorporating in a free zone is the best option for a business license. You can opt for a freelancer's license but this has limitations since you are only allowed one work visa. Another option is to apply for a "flexi-desk" which can subsequently be upgraded as your startup grows. 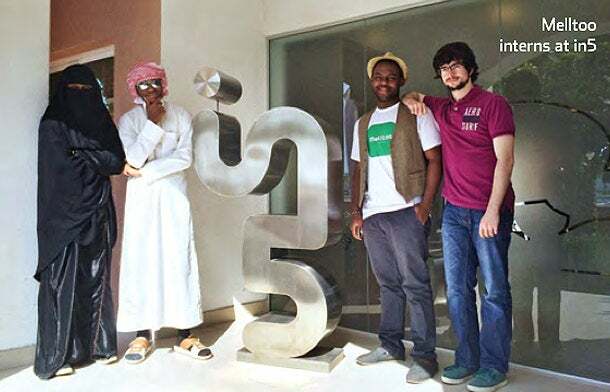 in5 Innovation Hub at Dubai Knowledge Village (TECOM) is a government-initiated incubator that provides subsidized licensing and workspace as well as introductions to mentors and investors. You can expect to shell out approximately (and possibly over) AED8,000 for license and rent for the first six months. The drawback is that there is a rigorous application process and startups have to be selected to join the program. Melltoo is part of the in5 program; in addition to the cost-savings, in5 has been a great place to network. We've been introduced to many important mentors and investors since being incubated. The Dubai Technology Entrepreneurship Center (DTEC) is scheduled to open at Dubai Silicon Oasis in early 2015. Co-working space here can be leased for under 12,000 a year, but these numbers do not include the various fees that are associated with completing the incorporation paperwork, including employer I.D. cards, bank letter requests and others. Interestingly enough, we discovered that different branches of the same bank were asking for different fees, so definitely shop around. Co-working spaces are great, but they aren't always ideal. Firstly, they are all situated in Dubai, so you'll have a hard time commuting if you live in one of the other Emirates. Due to its popularity, in5 is crowded and growing your workspace there is not really possible, and DTEC is yet to open. There are several other options, including The Cribb by i360 in Al Quoz, Impact Hub in downtown Dubai, and The Make Business Hub in Al Soufouh; none of these are terribly cheap. The Melltoo team of nine has decided to keep our expenses super low by working out of our house in Ras Al Khaimah (RAK). First off, rent and living expenses are generally cheaper outside of the Emirate of Dubai. In addition, we installed a porta-cabin next to our house which we use for office space. The porta-cabin is large enough to house some of our team members who don't normally reside in RAK. Some team members work remote for the most part, but come and do sleepovers every so often. Working from our living quarters has had unexpected benefits. Firstly, there's no commute, saving time and money. Secondly we're immersed in our startup, and we are constantly brainstorming and feeding off one another's energy. Lastly, the proximity of living and working quarters builds a rapport among team members- we're more family than co-workers. For events and meetings, we use in5. As startups, you should be resourceful and constantly keep an eye and ear on what's happening around you. In the UAE, the souks are still a hive of commer- cial activity and where great deals on basic things like t-shirts and business cards can be found. "Little Bangladesh" in Ajman is a good place for decent quality screen-printed t-shirts and other customized clothing. We got our first 50 t-shirts printed up for AED6 a shirt, a steal compared to AED50 at Virgin Megastore. For business cards, most print shops in old neighborhoods like Bur Dubai and Deira will give you a good deal. However, you will be well-advised to get the graphic design done elsewhere because that is not their strong suit (see the next section on generic services for more on how to do this). This advice applies to other marketing paraphernalia too, such as roll-up banners for events and the basics like stationery. Outsourcing generic services to freelancers can mean great cost-savings for startups. There are loads of things that we could do ourselves, but we don't because the opportunity cost of our time is far too high. The three hours it would take me to design a business card are better spent working on product development. One word of caution though, freelancers need to be managed as you would manage brand new employees. Never assume they will understand something you take for granted because things are done very differently in different cultures. Instructions should be crystal clear and laid out step by step in a retrievable form if possible. For instance, we had our video explainer outsourced. Many screenshots were used in the video and we had to specify the exact screenshot we wanted in which scene and carefully label the graphic assets so that the outsourcing team could find everything easily to reduce the number of revisions. In addition, we would record screencasts with instructions and feedback for the outsourcing team. There are lots of freelancing websites out there. If you are looking for freelancers with local knowledge and skills, Nabbesh. Otherwise, our favorites are Upwork and Fiverr. As rapidly as the population of Dubai is growing, it's still a small (and rather intimate) city. Unlike large metropolitan areas like New York or London where groups of people are hard to nail down, it isn't too difficult to locate your target audience here. As long as you know who they are, you should know where to find them. If you are targeting the tech industry, social media is the first place to look. This will provide your first clues to who your target audience is and where to find them in the real world. Because Dubai is expat-dominated, there exists many meet-up groups organized by location and interests. Once you've found your audience, go out there and network. Melltoo was created to be the next-gen classifieds marketplace, Facebook for classifieds. So our audience is easy to locate, they are people who are selling their things using social media. And whenever we tell someone in this group about the Melltoo app, they thank us. That's when we know we have the right target audience because they have the need for our product. Again, Dubai is a small place and the media is a good way to get your start- up known quickly. Do not think that you need a public relations firm to represent you in order to get coverage. All you need is a good story. You should be able to tell your own story and if you can't, then no one else can. This is important not only for PR but for investors and customers alike. Not everyone is a good writer, so find a freelancer to write up your press release. The next steps are important, search for articles about other startups or companies similar to yours. Make a list of the journalists who wrote these articles. Connect with them through social media and write them an email explaining your story. Tell them the why of your startup before you get into the what. Keep it concise and on-topic; the point of the email is to get them interested, not to tell them your entire story. Startup conferences are an essential part of learning from and participating in the ecosystem. It is also an effective way to introduce yourself to potential mentors and investors. However, they are not cheap and conference passes can run anywhere from hundreds to thousands of dirhams. In our experience, asking for a discount usually works. But even better is networking to get yourself invited. The Melltoo team was invited to the recent ArabNet conference held at the Palm Atlantis this past June. A venture capitalist from Riyadh paid for our US$1,800 passes to the conference. We first met him in Cairo, where we were finalists at the annual MITEF Arab Startup Conference. Incidentally, that was an all-expense paid trip. Which brings us to startup competitions- another effective way to network and meet mentors and investors. Because Dubai is an expensive place, you have to pay your employees fairly, and for experienced employees you need to pay a premium. Most startups cannot afford this. One option is to offer equity to entice talented people to take a pay cut to work with you. But not everyone will go for this. We chose to go a different way by hiring and training highly motivated interns who are willing to work in exchange for real-life experience in a startup. What this means is that you must offer them real value in return in the form of training and experience. Do not relegate your interns to pouring coffee and making photocopies, you must give them tasks that provide value for your startup and that provide a learning experience for the intern. Think about something you are doing that is essential that you can teach someone else to do. That's what your intern should be doing. The key here is to recruit the right people. Existing skills are not important, attitude and willingness to learn is what you should look for. Of course, if you do a good job training your interns, they will eventually become full members of the team. But as new career entrants, their expected compensation will still be lower than someone mid-career or in senior positions. And if you did your job right, they will be as passionate about the startup as you and money will become secondary. Starting up in Dubai is anything but cheap. But as a bootstrapping startup, being resourceful has allowed us to cut some corners and real- locate our limited resources to more valuable uses. In the six months since we launched the Melltoo app, we've had over 30,000 downloads and we acquire about 350 new users daily. All this while working out of a porta-cabin in true startup spirit.